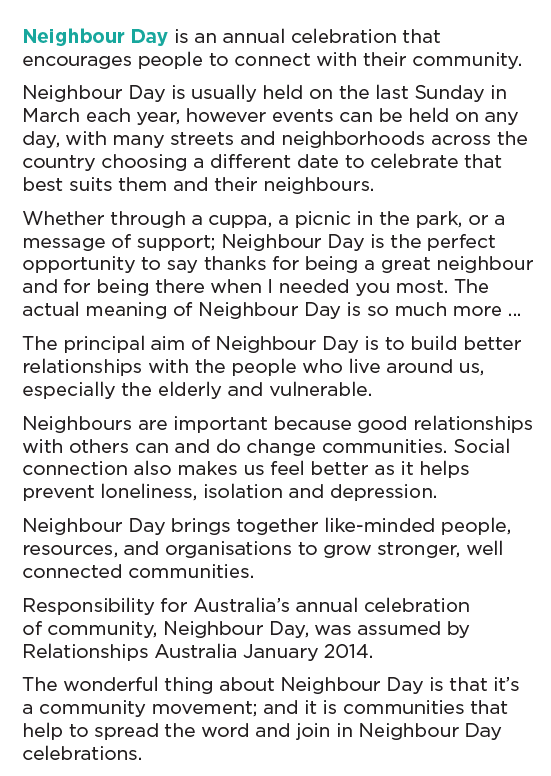 We are proud to support the Wyee Neighbour Day event. 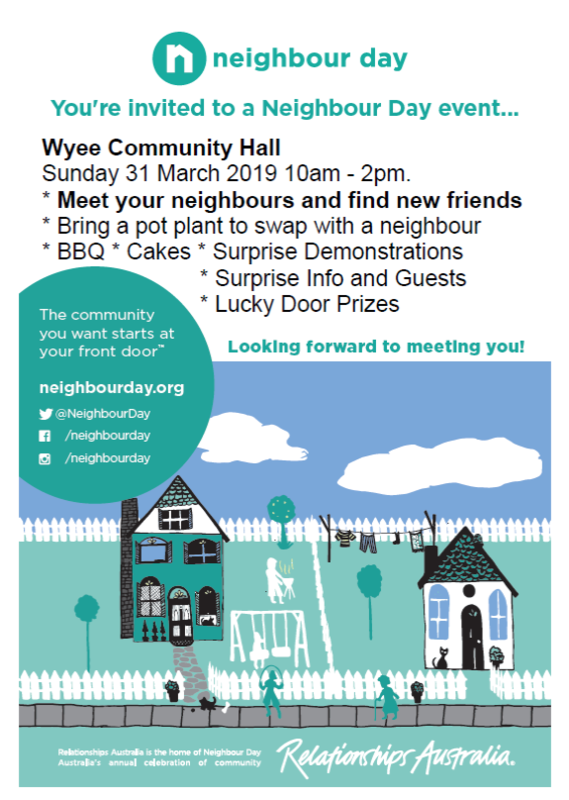 Meet your neighbours and find new friends at the Wyee Community Hall Neighbour Day event. Bring a plant to swap, enjoy a BBQ, cakes, demonstrations and community information. For more information email wyeehall@gmail.com.